We all know we’re going to die some day. Right? Wouldn’t it be neat if we could know exactly when so we could gather our friends and family around the night before for one last special meal? A real celebration. All of our favorite foods–no counting calories–and we’d get to talk all we wanted to about everything we wanted to talk about because this would be the last time we knew people would be listening to us. And to make the occasion even more special, we would make this request: whenever this group of special people eats together again, let it be in remembrance of us. If you’re a Christian–maybe even if you’re simply familiar with the New Testament–you might think this idea sounds familiar. Jesus’s death was eminent. And even though he’d been teaching these disciples for three years, He realized that they hadn’t caught on to some of His most important teachings. Like the fact He would be raised from the grave again. This was His last chance to speak to them and try to prepare them for what He was about to experience. And what they could ultimately expect. But it wasn’t just a time of teaching. It was a time of fellowship. The Bible doesn’t say anything about the lighter side of the Last Supper, but I’ll bet there was some cutting up before things turned serious. After all, this was a celebration of the Passover, and the Passover was a joyous time, because it celebrated the Children of Israel’s survival when the Angel of Death killed the firstborn of all other living creatures in Egypt. 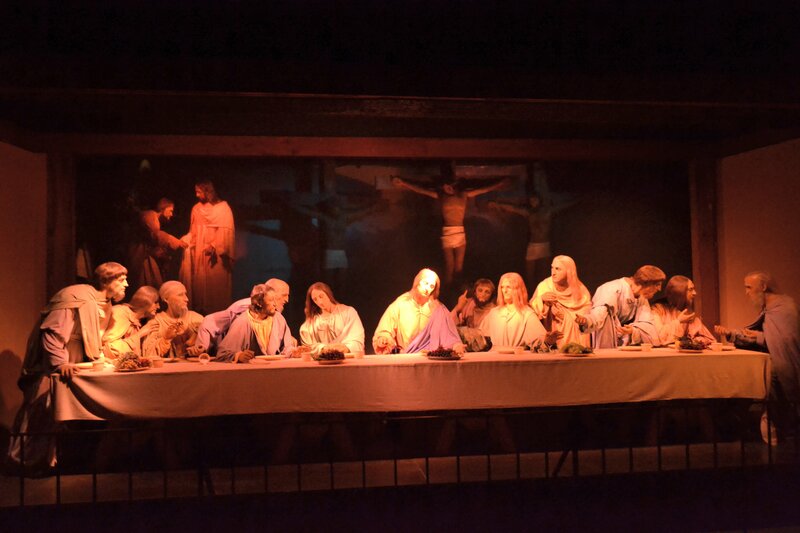 But the Last Supper turned serious. And when Jesus told his followers to think about Him whenever they ate that kind of meal together in the future, they probably didn’t understand that He wouldn’t be with them…not physically. The things Jesus told His disciples would happen all came true, and when He rose from the grave and ultimately ascended to Heaven, that gave a whole new significance to the celebration of the Lord’s Supper through the ages. In my church, it’s a very reverent time. And that’s appropriate in some ways. But it should be joyous as well. This entry was posted in Celebration, Communion, Lord's Supper, Remembrance, Uncategorized and tagged As I Come Singing, Christianity, Free Christian Songs, On Aging Gracelessly, On Being Remembered, Roger E. Bruner, The Lord's Supper. Bookmark the permalink.